We are a leading Exporter of steel palisade fencing for highways from Mumbai, India. 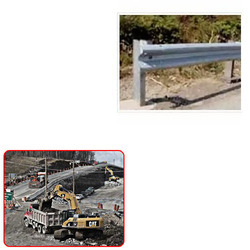 We are the leading manufacturer and exporter of Steel Palisade Fencing for Highways. The steel fencing is appreciated for its sturdy built and durable nature.